Alexa is the perfect complement to Respa, the clip-on coach of the people. The algorithms and analytics behind Respa fit well with voice-activated devices like Alexa. RespaTM, the world’s first breathing analyzer, designed to improve athletic performance while running, yoga and other workout sessions, will look to integrate its technology with Amazon Alexa. The patent-pending Respa is an easy-to-use, but highly sophisticated, wearable analyzer that tracks breathing patterns for the duration of workouts, the first of its kind for athletes. The small device and companion app allows users to train smarter and practice better. Real-time alerts help them stay in their optimal breathing zone, while post-workout analyses track progress and help to plan future workouts. Alexa, the cloud-based voice service from Amazon, is the brain behind Amazon Echo and other Alexa-enabled devices. Using Alexa is as simple as asking a question—users ask, and Alexa will respond instantly. 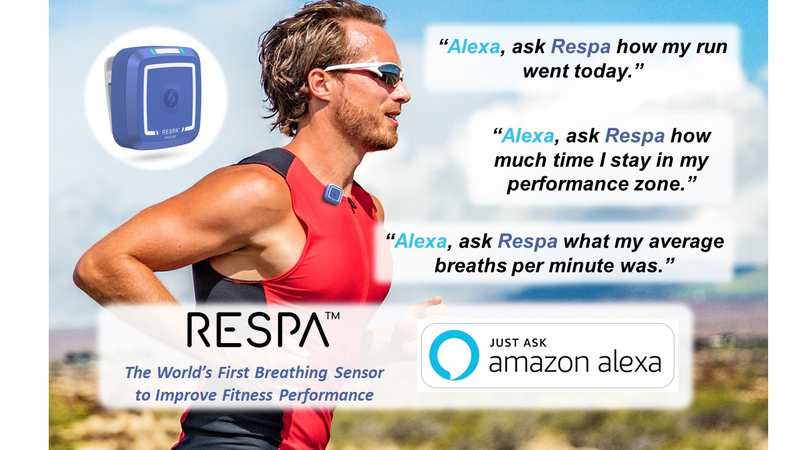 Respa will add Alexa technology to easily monitor physical activities such as running and yoga and health metrics to offer a path to better health. Users can, for example, ask, “Alexa, can you tell me my breaths per minute?” to analyze their fitness activities. “Alexa is the perfect complement to Respa, the clip-on coach of the people. The algorithms and analytics behind Respa fit well with voice-activated devices like Alexa,” said Dr. Abhijit Dasgupta, PhD, Zansors co-founder and Chief Data Science Officer. “Important health metrics being monitored can now offer a better path to better health. We want to introduce the digital coach that sees what others can't." Breathing is a direct indicator of physical exertion and, unlike other fitness devices, Respa tracks current/real-time levels of aerobic fitness so athletes can optimize their training sessions. "We are happy that the Alexa team reached out to us,” said Baabi Das, Co-Founder of Zansors. “Respa enhances the future of voice-activated devices and human interaction. Building unique use cases in both running and yoga allows users to finish their workout and then chat with their digital coach." Before Respa, athletes seeking breathing analysis required expensive tests using complicated, cumbersome equipment in a lab setting. Now, with Respa, the lab goes with the athlete, providing real-time analysis with every workout. Athletes get the most efficient and effective training, while yoga enthusiasts can use Respa to stay in-tune with their breath during their yoga practice. Respa can also help athletic coaches and fitness instructors guide their students with real-time feedback about their breathing patterns and rhythms. With the Respa app, they can track their athletes’ progress to guide their training and coaching decisions. Respa is currently available in four different models: Respa Elite Fitness 3.0, Respa Better Yoga, Respa Fitness 2.0 and Respa Coach. For more information about Respa and to purchase the sensor at an exclusive discount by pre-ordering, visit the Respa Campaign Page on Indiegogo. Zansors is a Washington, D.C. metro-based health innovation company delivering personal health analytics to consumers via wearable bio-sensors and health apps. Driven by the company’s credo of “know yourself,” Zansors combines evidence-based apps, bioengineering and data analytics, allowing consumers to take charge of their health. 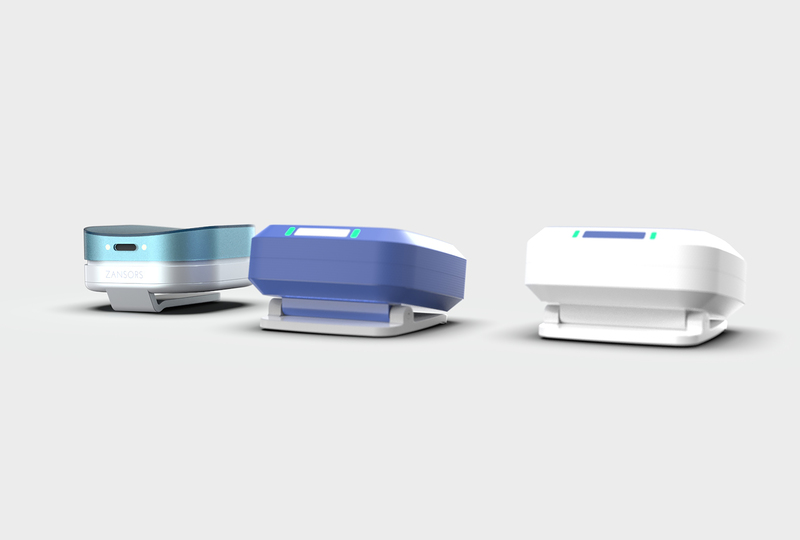 Zansors’ proprietary biotechnology platform includes micro-sensors and micro-fluidics (also known as “lab-on-a-chip”) backed by a strong portfolio of patents filed. Zansors has previously received six funding awards from the National Institutes of Health (NIH) and has formal partnerships with the University of Michigan and George Washington University.